The Community Painting is a simple and innovative concept designed as a tool to teach the philosophy of team and individual accountability: Imagine, you and your class mates painting together on one canvas, creatively bouncing ideas and solutions from one team member to another. 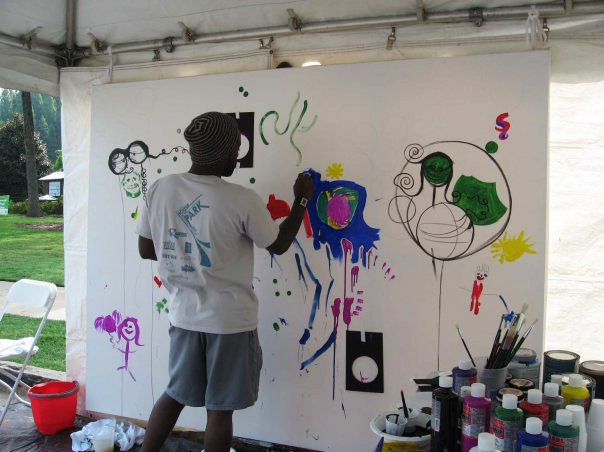 Not only will you create an original piece of art, you ignite fluid communication, team involvement, and a fearless attitude toward contribution. 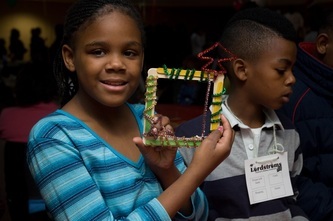 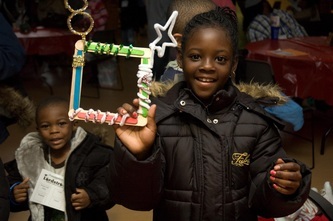 Your creation is then hung in your class room or actioned off to help with raising funds for your next class project. 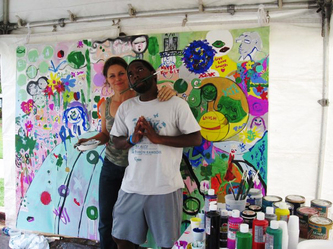 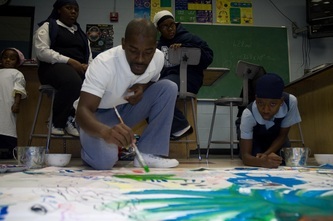 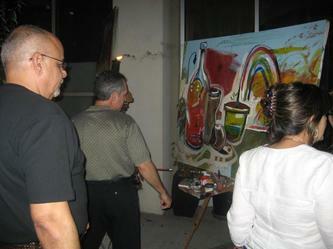 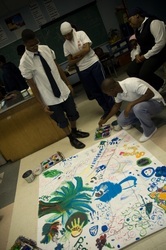 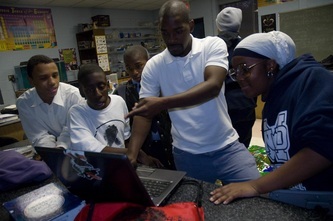 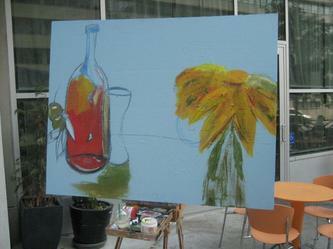 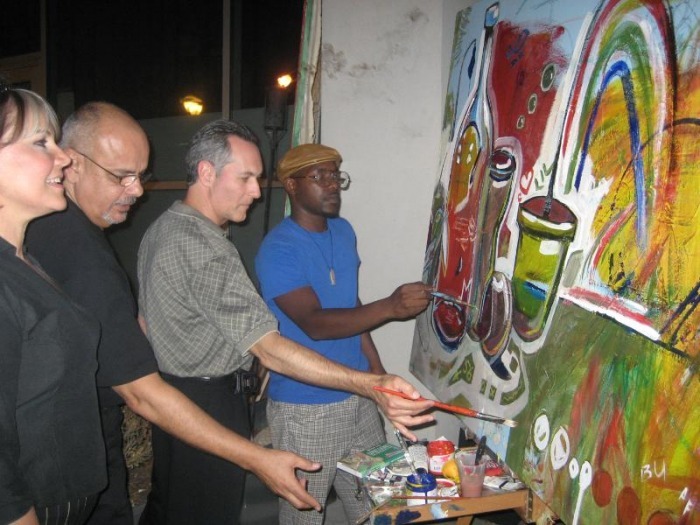 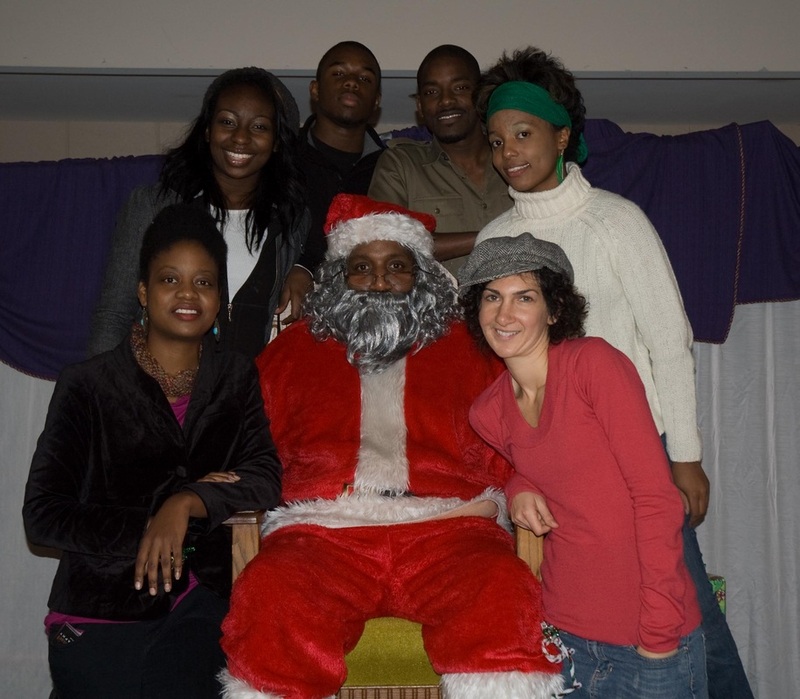 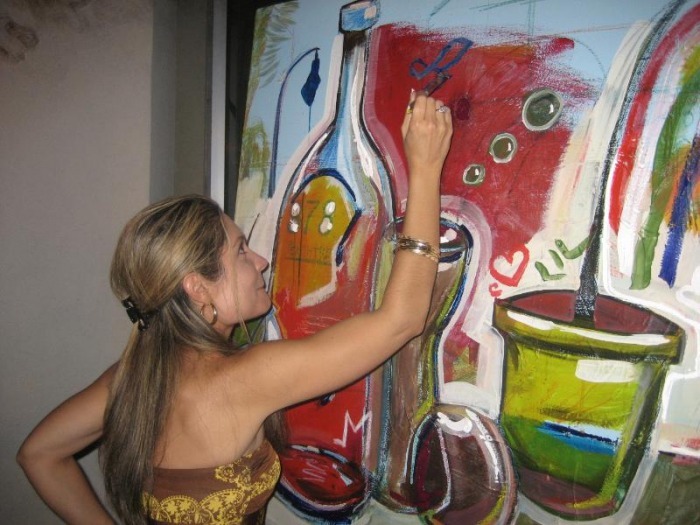 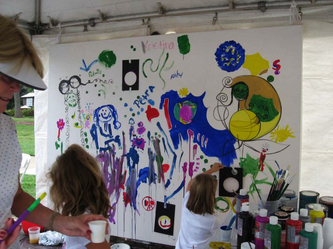 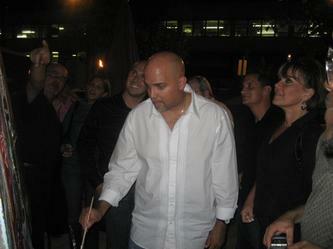 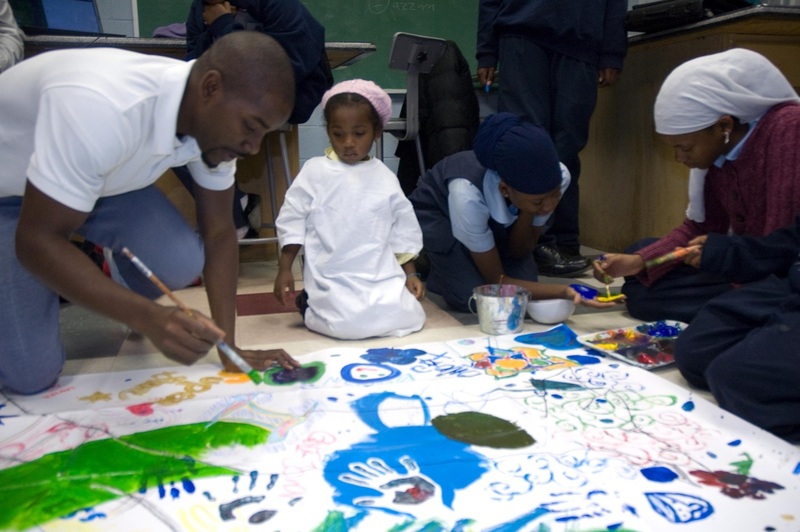 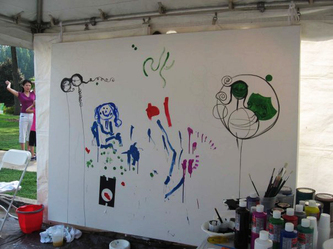 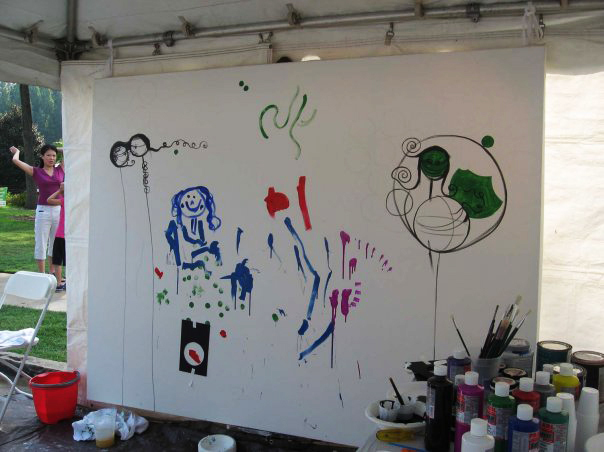 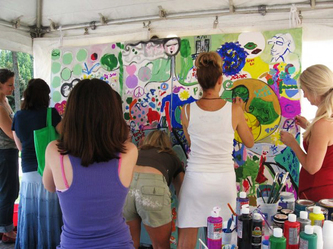 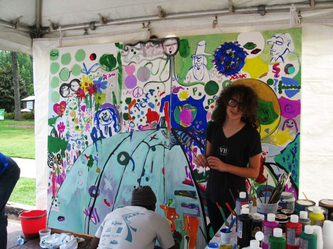 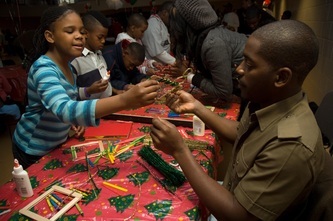 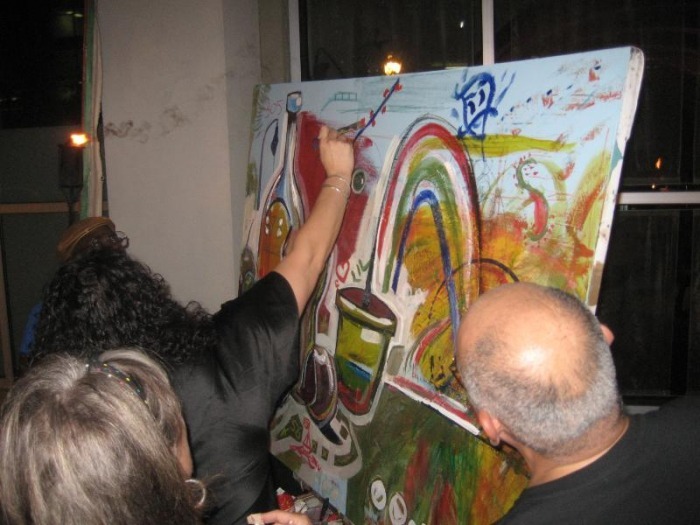 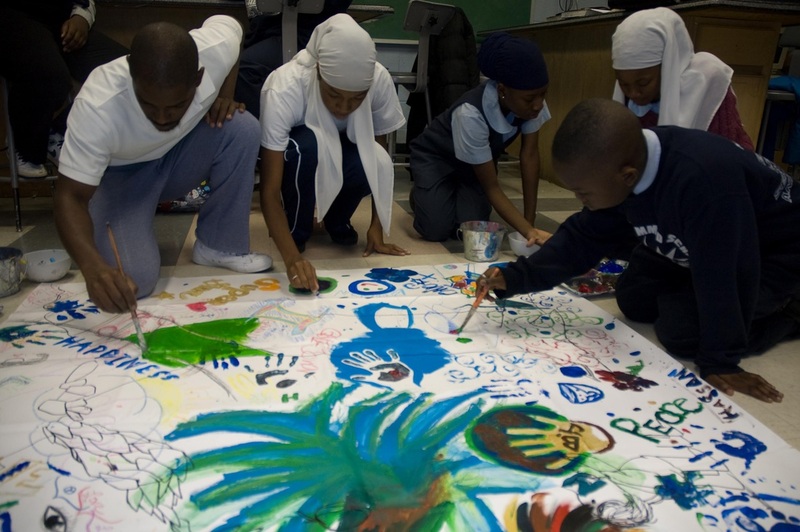 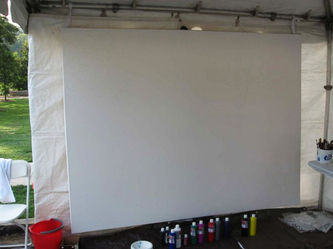 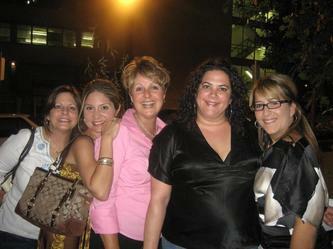 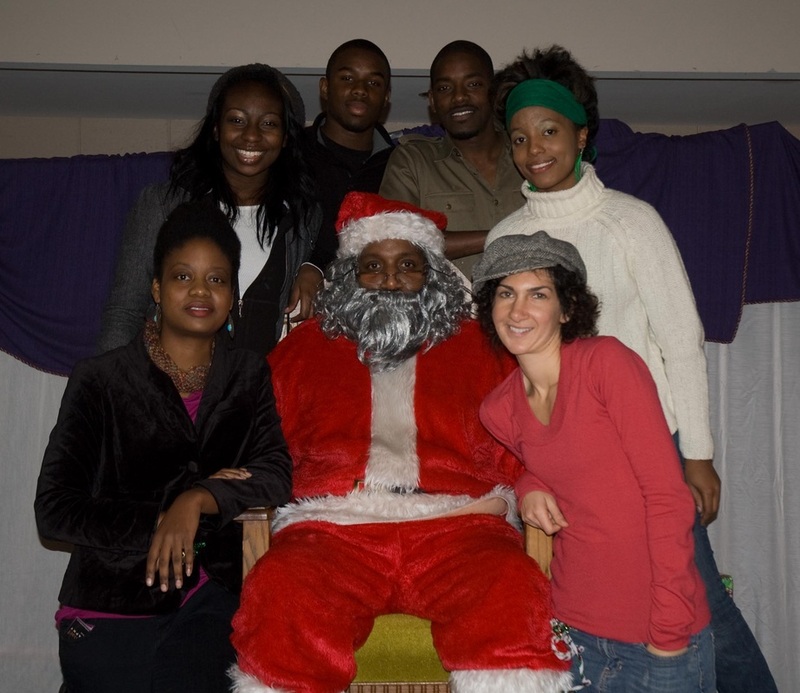 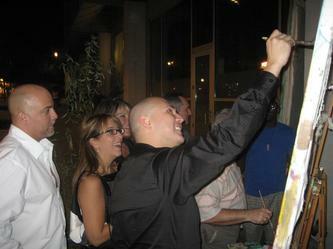 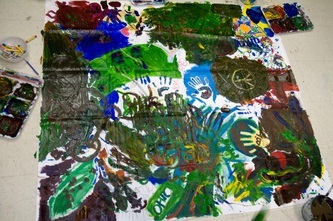 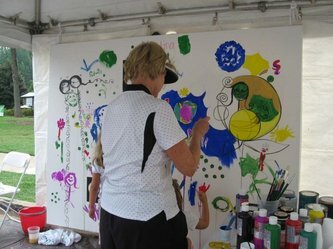 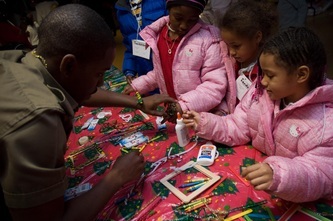 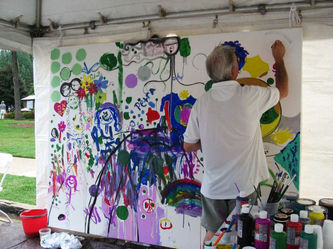 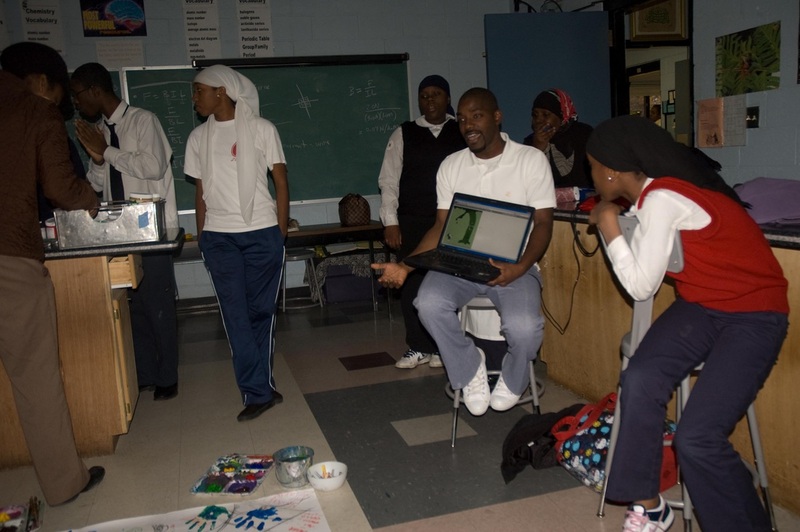 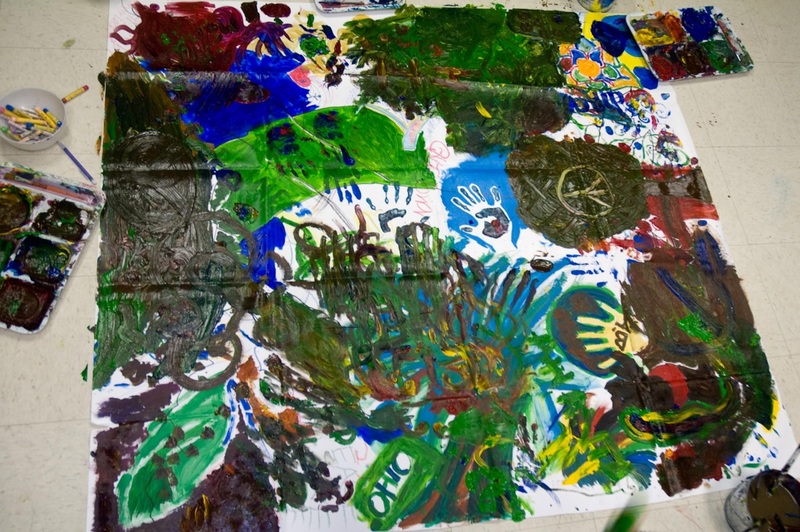 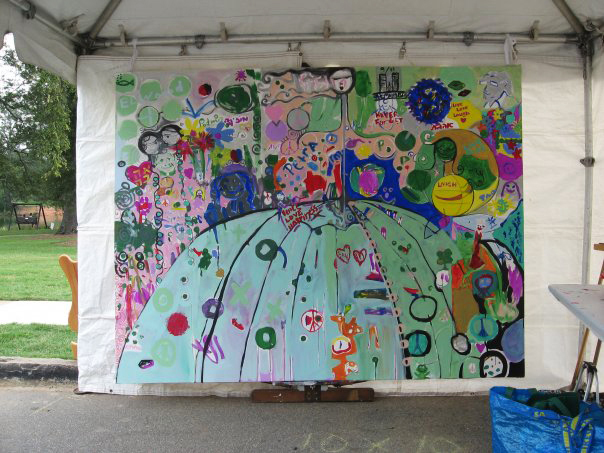 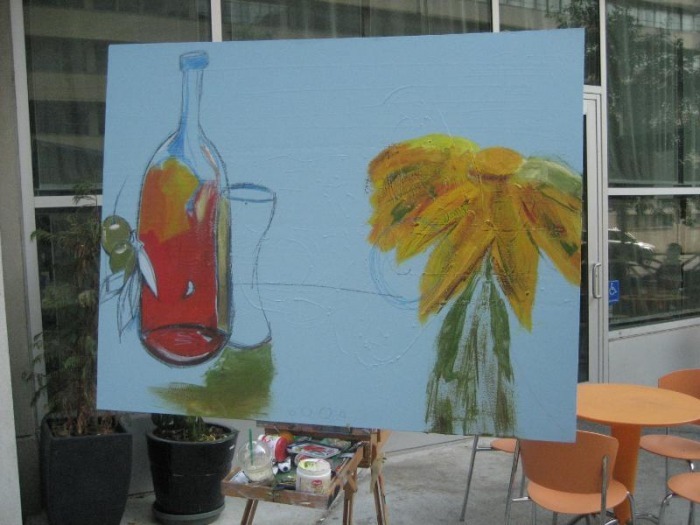 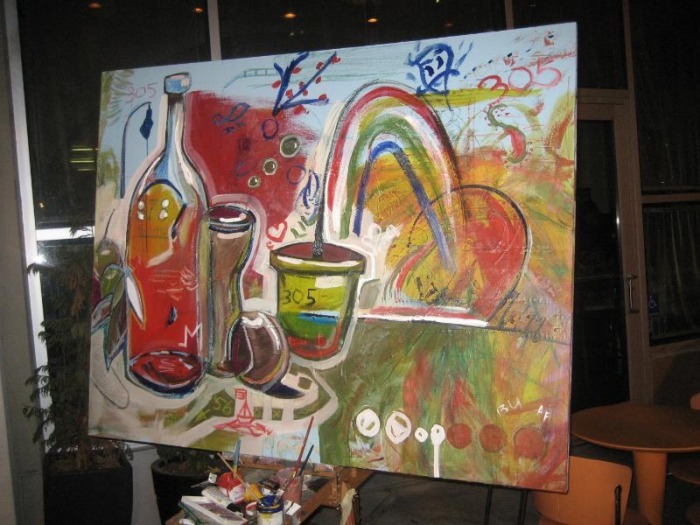 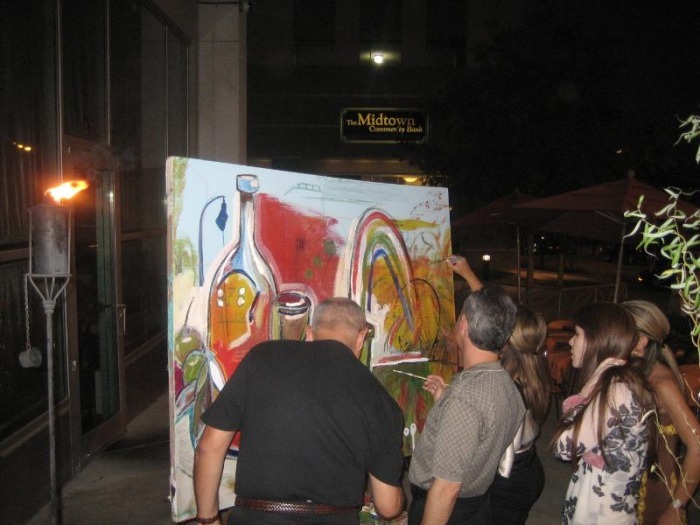 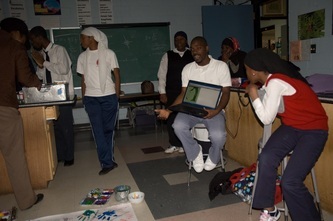 Community Painting began in 2007 as a way to involved individuals into the creative process. The best art is done in collaborations which allow people to be hands on and see both their individual value to the team as well as the power of the collective. 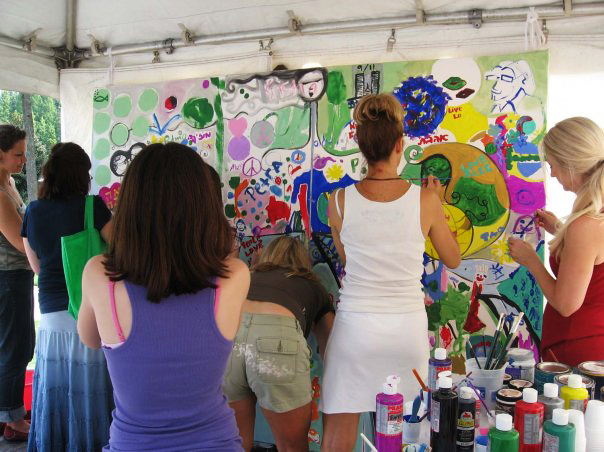 If you are looking for a fresh and innovative way to build the creatively influence your class, then this is the event for you. 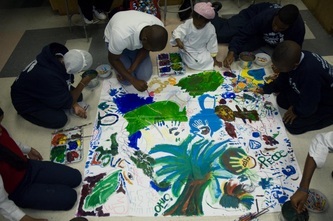 E-mail if you would like to be apart of the Community Painting project or if you want more info. 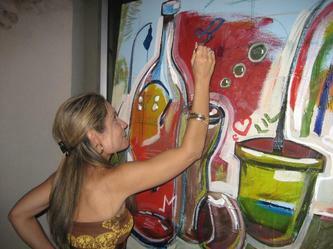 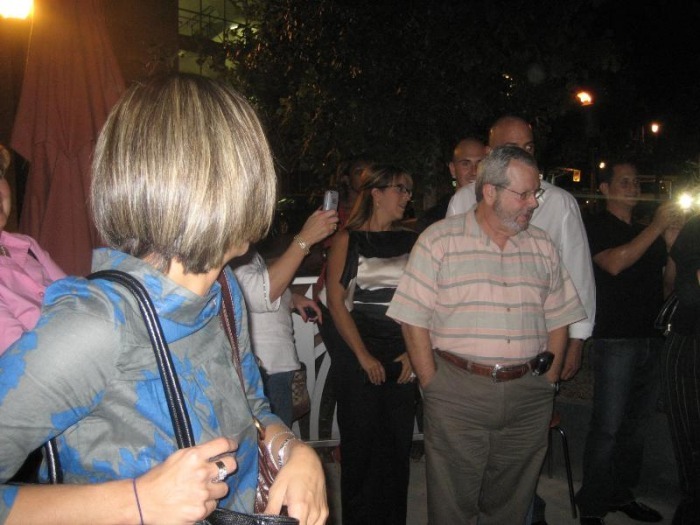 © 2009-2015. 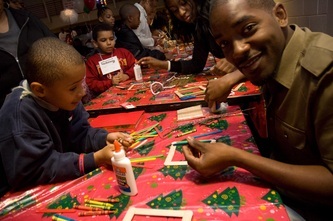 | www.SirTomFoolery.com | All Rights Reserved.